Everyone loves a good tomato. what do I need to know to choose wisely? Tomato plants have one of two growth habits: Determinate and Indeterminate. Determinate varieties grow to a certain height (usually 2 to 3 feet), set fruit, and then concentrate on ripening that fruit. This type is perfect for container gardening. Indeterminate varieties keep growing taller, setting and ripening fruit until they’re killed by frost. 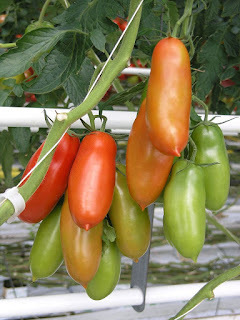 They require more support from wire cages and stakes as well as vine pruning to keep plant size manageable and the tomatoes off the ground. It’s best to tie up plants as they grow. You will also want to know days required to produce ripened fruit. Some tomatoes take much longer to ripen. Be sure to check the label before you purchase. It will show days to maturity. It will also tell if the vine is determinate or indeterminate. is what you plan to do with them once they're ripe. Do you want tasty tomatoes for delicious summer salads? How about delicious pasta sauce or stewed tomatoes to preserve for those cold winter months? And what could be more delicious than tomatoes to eat fresh from the vine. And just maybe you'd like to grow a little of each! In my opinion... the PERFECT cherry tomato. 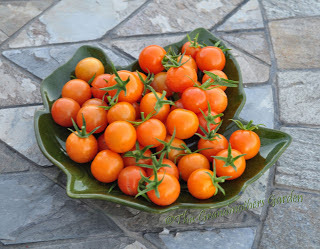 This golden yellow to orange tomato will have always have a place in my garden. It produces a ton and its taste is unmatched. I love roasting them in the oven until they pop to use in my favorite summer recipes. The perfect straight from the garden snack... definitely my grand kiddos fave. 55 days to maturity, one to two weeks earlier than other cherry tomatoes. Indeterminate... requires staking. This tomato is the first on the block for vine-ripened red, luscious tomatoes. The flavor is described as particularly good for an early tomato and improves even more as the season warms up. It's always good to include an early variety to jump-start your taste buds! I've been planting this variety for many years, and yes, it's always the first tomato of the season... ripe and ready on... you guessed it... the Fourth of July. 44 days to maturity. Indeterminate... requires staking. 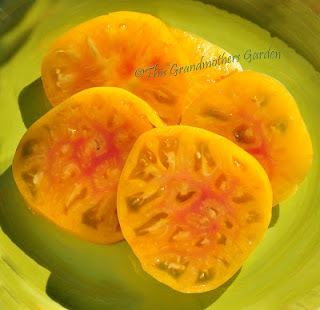 This heirloom tomato is a large golden-orange beefsteak with fruit that grows up to 1-1/2 lbs. with a mildly sweet somewhat fruity taste, includes a hint of citrus with low acidity, Slice them open to see the colors of a beautiful Hawaiian sunset. A colorful addition to salads and sandwiches. 93 days to maturity... but so worth the wait. Indeterminate... requires staking. This is the best roma tomato you will ever taste. Meaty, very few seeds. Will continue to grow well into autumn. Choose San Marzano if you like to can whole tomatoes, whip up homemade tomato sauce, or freeze slow-roasted tomatoes. 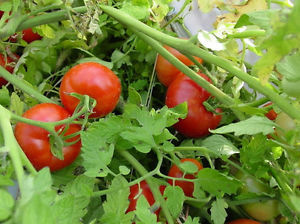 Pick the tomatoes green at first sign of frost and they will continue to ripen in the kitchen. They can also be frozen for winter use. Just wash and dry them, and place in zip lock bags. Take them out of the freezer a few minutes before cutting, They also taste great chopped into salads and sliced onto sandwiches. 84 days to maturity. Indeterminate... requires staking. This is the local favorite of any old timer. Its medium large fruit is simply great for canning. 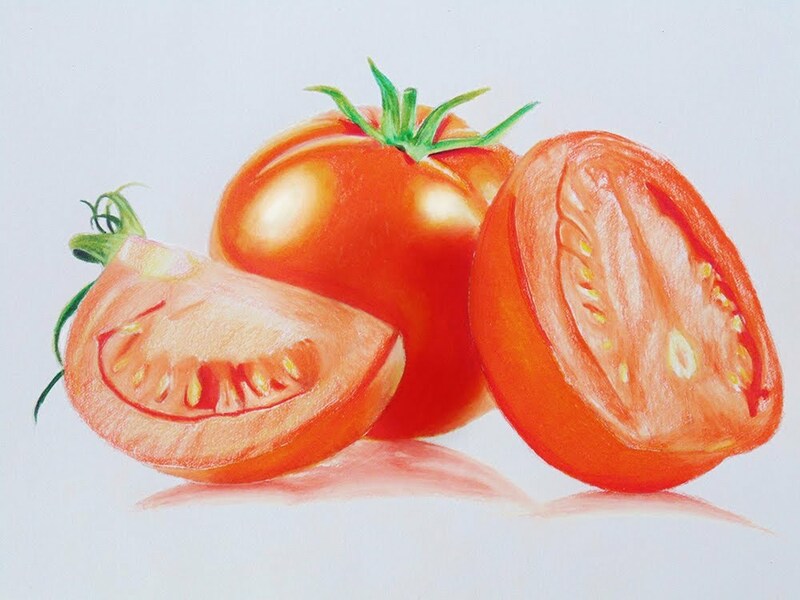 It has an old fashioned tomato flavor with high acidity and high yields. And besides that... it's the one tomato that my Dad would consistently recommend and plant. He grew tomatoes for Del Monte as a young man. The harvest was piled in wooden crates and loaded into his Model T black truck... piled so high it was always somewhat of a miracle he made it to the cannery. 70-75 days to maturity. Determinate vine. Keep in mind that all tomatoes are heat-loving plants. They must have at least 8 hours of sunlight a day to produce fruit and thrive. 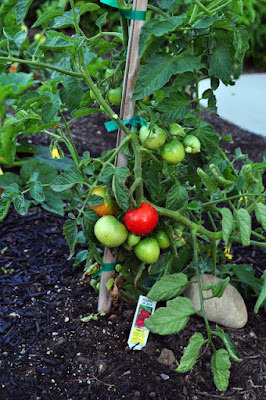 Water tomatoes deeply and infrequently, applying 1-2 inches per week. Irrigate so that moisture goes deep into the soil. Too much water or not enough can cause blossom-end rot, a dark leathery spot on the bottom of the fruit. Avoid cracks in the skin by keeping soil moisture uniform especially as tomatoes begin to ripen. “Planting a garden, even a small one, allows for a greater degree of self-reliance. I learned to garden at the feet of my Father. 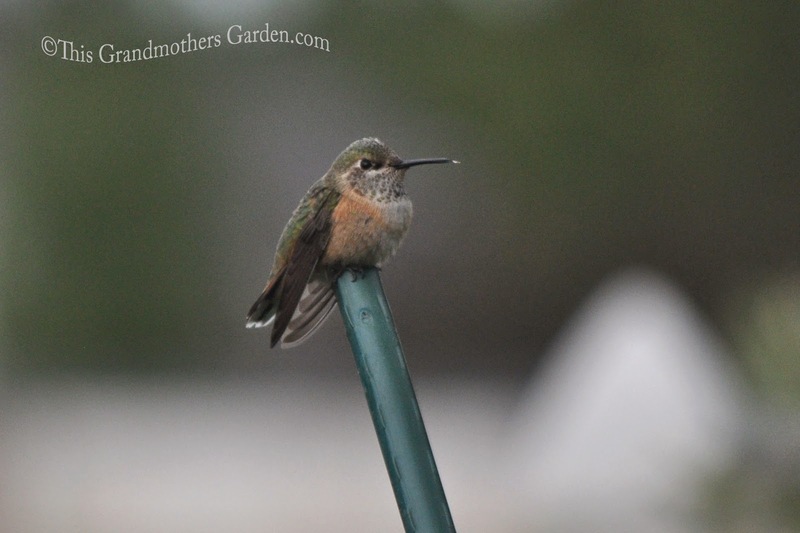 Many an hour was spent watching him gently sow seeds in our backyard garden, then waiting diligently for them to sprout. Work always comes before the harvest... a life long lesson he planted deep within my heart. Bill and I began our gardening adventures too many years ago to count with a large plot of land and rows and rows of veggies of all varieties and beds of strawberries and vines of grapes. We irrigated the trenches between the rows to provide the life-giving water that would grow the food that would feed our many children. It also fed the weed seeds. The weeds grew faster than the veggies and required more work than you can even imagine. It was the price we paid to have "fresh from the garden" food delivered to our dinner table. That was way back then. Thankfully much progress has been made in gardening over the years. 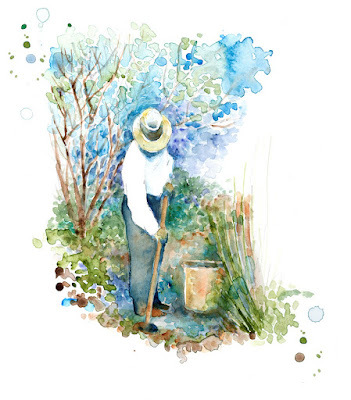 Once your garden is built, there’s little work…and best of all, no weeds! We’ve been using this method for 15 years… bye-bye weeds. LAYOUT In terms of bed size, 4 feet is a common width and will enable access to the garden without stepping into the bed. Length isn’t as important. Plots are often 4 feet wide by 8 feet long or 4 feet wide by 12 feet long. This will be determined by the area of your garden. Depth should be 6 to 8 inches deep. BOXES Boxes can be built from wood, vinyl or even cinder blocks. If using wood, do not use railroad ties (toxic) and be cautious of untreated lumber (chemicals).. We choose redwood as it is more durable. Build as many boxes as you will need for the amount and type of plants you will grow. You may wish to add one foot grids across each box. 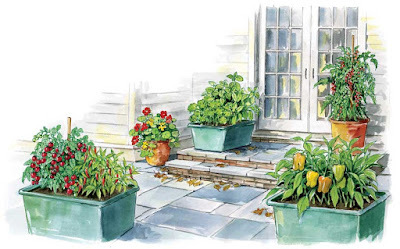 AISLES If you plan to have more than one garden box, separate them to form walkways. Aisles can be made from grass, brick, stone, mulch or any other material that enhances your garden plan. 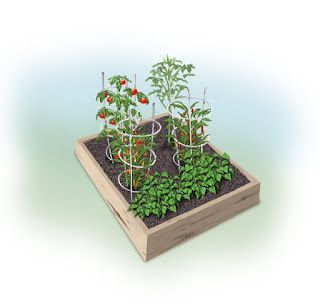 SPACE Depending on the mature size of the plant, grow 1, 4, 9, or 16 equally spaced plants per square foot. PLANT Make a shallow hole with your finger. Plant two or three seeds in each spot. Cover, but do not pack the soil. After sprouting, save the best one and snip off the others. Don’t over-plant, plant only as much of any one crop as you will use. WATER We use a drip system that is connected to our automatic sprinklers. Simple to install. HARVEST Enjoy the fruit of your labors. Some content gathered from Mel's Square Foot Gardening. 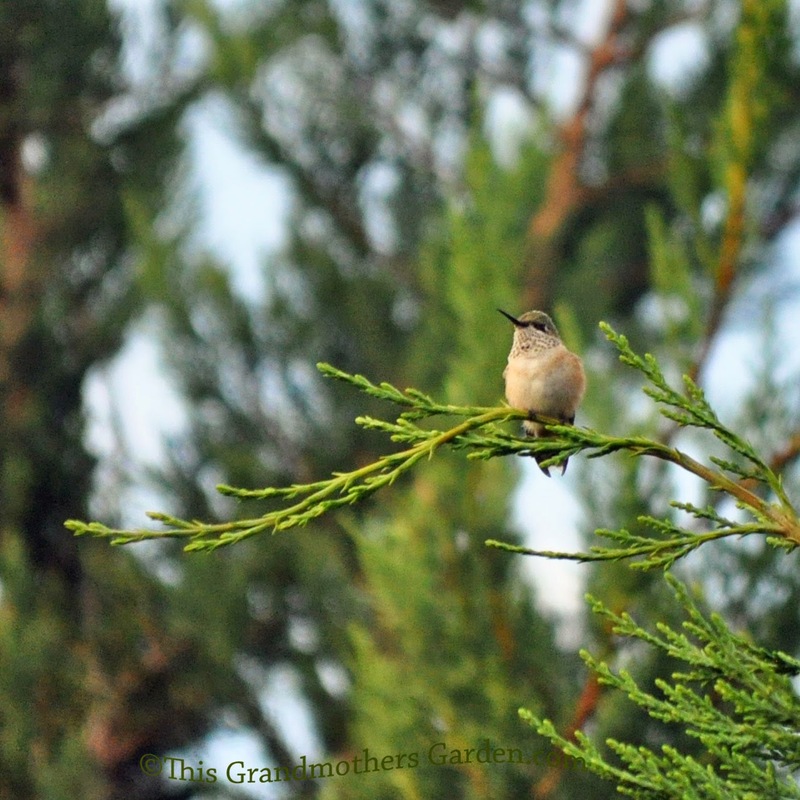 The garden site you choose should be relatively level and near your kitchen door. Think Kitchen Garden. 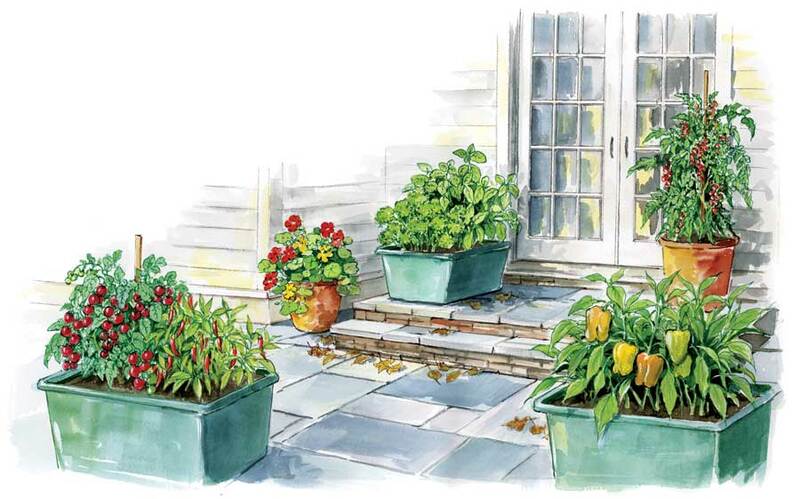 Just a few steps from clipping fresh herbs and gathering fresh tomatoes for dinner. Most veggies are sunlight lovers, they require 6 or 8 hours of sunshine on a daily basis. 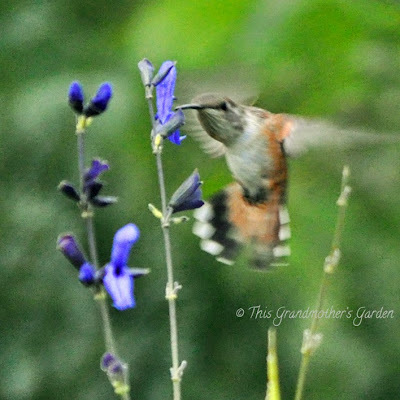 just as a hummingbird was zipping toward the Red-bud tree. He cocked his head in all directions then seemed to stare right at me. He then flew away just as quickly as he came. Did you know that Hummingbirds return to the same nesting place year after year? Yes, they do... it has actually been documented. 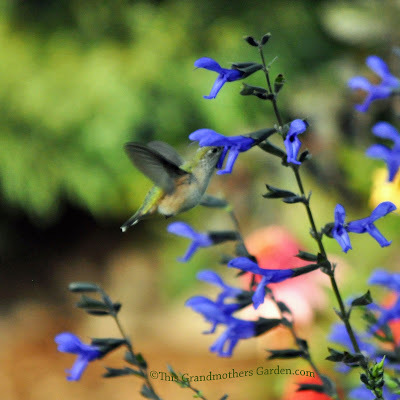 Well my feeders are up now and the Salvia 'Black and Blue' is planted. sipping the nectar with their long tongues. They put on quite the show! ♥ BTW... all pictures in this post are from my archives. No pictures yet of Hummingbirds 2015. Seriously... thinking maybe I should always have my camera dangling from my neck. Sometimes I miss the best shots!